HARLINGEN — Police have charged a local man with murder after a body was found at an apartment complex. Ruben Rodriguez, 35, has been linked to the death of a man found Tuesday morning inside his Wilson Apartment unit in the 1500 block of North Commerce Street, according to police. Police identified the victim as Honorio Garza, 47, of Harlingen. The case is the city’s second homicide investigation of the year. The first was a murder-suicide in April, police said. Police said there were no homicides in 2017. 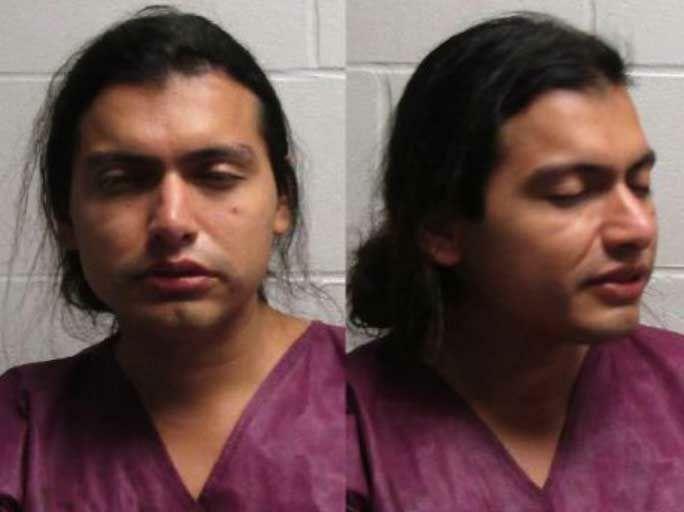 Police said evidence and witness statements led them to Rodriguez, who was initially arrested Wednesday for public intoxication, according to the Harlingen Police Department jail log. On Thursday, police charged Rodriguez with murder. Police said Garza’s autopsy report indicated the cause of death was homicide. The investigation is still ongoing and police are awaiting the final autopsy report. They will not release any details on the manner of death until later. The Harlingen Police Department’s Criminal Investigations Division and the Major Crime Unit are still investigating. According to Garza’s neighbor, Roberto Ramirez, the victim was picked up every day and transported to an adult day care. “I would give him food and cigarettes when he asked,” Ramirez said about his dealings with Garza. On Tuesday, the driver left the residence after Garza did not answer the door, according to Ramirez. Ramirez said the day care center driver found Garza dead in the apartment after returning in an attempt to pick him up. He said when the driver returned, he entered the apartment to investigate and found Garza’s body on the floor.